Creating characters for stories is never an easy thing to do. It’s not easy to just come up with a character off the top of your head and slap a name on him or her and call him or her ready to go. Creating characters are much more complex than that. Essentially, writers are creating real living, breathing, and well rounded creatures, just like human beings, and breathe life into their characters. They come with full backgrounds, families, personalities, looks, likes, dislikes, and so on just as real people, such as you and I, do. In order to create believable, honest, and real characters for your stories, you have to practice at building people out of nothing. You can pull ideas on characters from everywhere around you: people you know, people you see walk passed you, yourself, and every corner of this Earth, as well as from your imagination. Let these writing prompts for this month help you gather ideas for the characters you wish to create and write about. Get to know these characters as if you were meeting someone new for the first time. Know your characters as well as you know yourself, your family, and your friends. Characters are just strangers that come into your life and you, as a reader and as a writer, get to know them better than you know anyone else on this Earth. Write a story/scene/poem/etc. in which the main character is based on yourself, but when you’re 55-70 years old. How have you changed? What is your personality and demeanor like, as opposed to now? Have you accomplished the things that you wanted to? What do you look like? Where do you live? Who are the people in your life? Write about someone who hides his or her, physical or emotional, pain in the work they do. Does someone notice and try to help them with getting rid of the cause of the pain? Write about a main character discovering his or her doppelgänger. How would your character react? What is the doppelganger like personality, physically, etc? What emotions motivate your character’s journey? Show us without saying the emotion. Have someone read it when your done and see if that person can distinguish which emotion motivates your character. How did your character overcome their obstacles and set backs in the story? What would your character say, or how would your character react, if his or her dark secrets were aired for all to know? Show us in a scene or two, or simply write out a summary. Would you consider your character a threat to others? Write a summary or brainstorm of how your character is a threat, and how your character is not a threat. What do you think your character’s breaking point is? How would you show that in a scene? Unearth your character’s roots. What is the character’s ancestry or cultural background? How does ancestry shape your character? Is the character at odds with family traditions? Write a series of short paragraphical biographies of each of the character’s closest family members: spouse, children, parents, grandparents, siblings, close friends, etc. 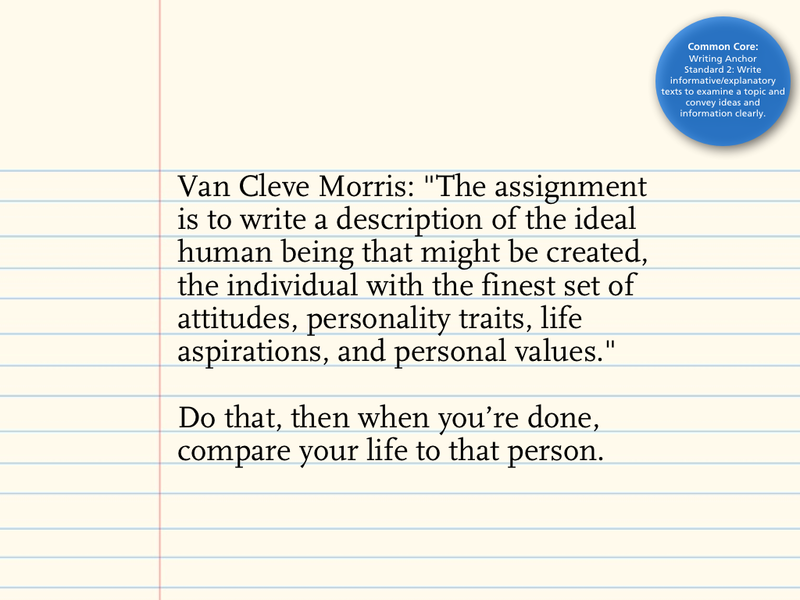 Write a monologue in which your character summarizes his or her life story; be sure to write it in the character’s voice. What motivates your character? Money? Love? Truth? Power? Justice? 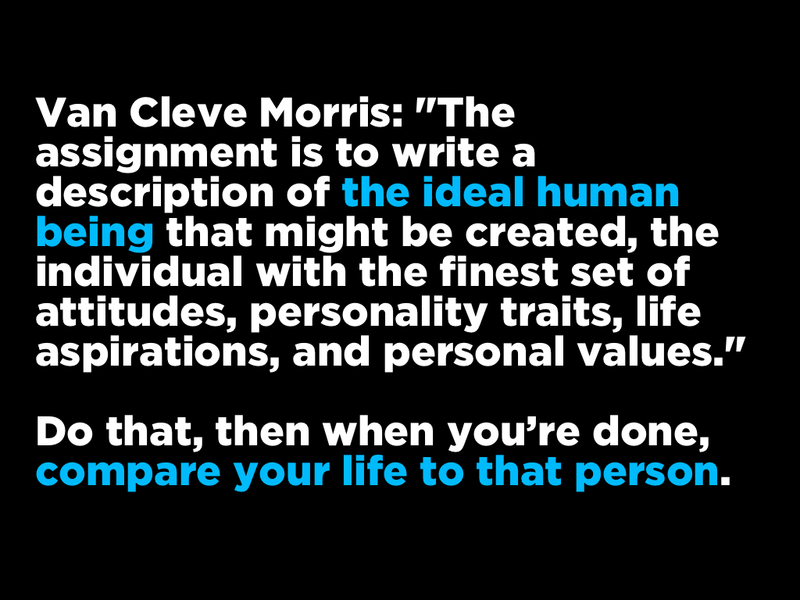 What does your character want more than anything else in the world? What is he or she searching for? What other characters or events are interfering with your character’s goals? What obstacles are in the way? What is your character’s single greatest fear? How did your character acquire his or her fears? What are your character’s flaws and weaknesses? How does the character’s fears and flaws prevent them from reaching their goals? What does your character look like? Make a list and include the following: hair, eyes, height, weight, build, etc. Now choose one aspect of the character’s appearance, a detail (bitten nails, frizzy hair, a scar) and elaborate on it. Write a short scene in which your character is looking in the mirror or write a short scene in which another character first sees your character. How does your character feel on the inside? What kind of person is your character and what does the character’s internal landscape look like? We don’t always present ourselves to others in a way that accurately reflects how we feel inside. We might be shy or insecure but come across as stuck-up and aloof. How do others perceive your character? Write a scene with dialogue that reveals your character’s external and internal personalities. Good settings for this dialogue would be an interview, appointment with a therapist, or a conversation with a romantic interest or close friend. Write the scene in third person so you can get inside your character’s head as well as the other character’s head; this will allow you explore how your character feels and how he or she is perceived. Enjoy these writing prompts. 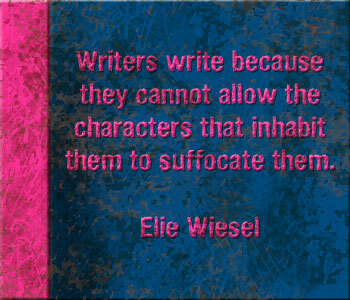 May they bring you insight and understanding into your own characters. Write on, my fellow writers and readers. How could this have happened? I watched still as stone as Amos and Constantine reach out and catch Jamie before she hit the ground. She had fainted. Much worse than that, she knew about the Dark Ones now. A dangerous force in the world that Vanessa never wanted her to know the existence of. What was Jamie doing in the woods at this time of night? My mind whirled as I ran my hands through my long dark locks. I had met her a few times before when I went to visit my old friend, Vanessa. Jamie was Vanessa’s seventeen-year-old adoptive daughter. As hard as this was going to be for the both of them, and more so for Vanessa, Jamie knew about them now, and something had to be done about it. Amos and Constantine looked up at me with the same matching expressions on their faces of concern and shock. Neither of them had ever seen a human be so bold as to attack a Dark One without fear. I had never known humans were strong enough to actually take one down without dying in the process. Gazing down at her now, a silent sigh of disappointment slipped between my lips. Jamie was still out cold. Her dark golden hair and her life drained face was covered in beads of sweat, matting strands of hair to her forehead. “Is she alright?” I finally asked them, not bothering to check myself. Their guesses were as good as my own. Constantine’s eyes rounded and bulged at the same time we heard his sharp intake of breath. “What is it Constantine?” Amos and I asked in unisons, stepping closer to him. At my son Constantine’s request, I walked over and bent down hovering over Jamie like Amos and Constantine were now doing. He pointed a shaking finger to the nape between her upper and lower right arm. “There,” he pointed. We followed his gaze and direction with our eyes. Amos positioned his flashlight on the section of her arm, so we could see it better under the fluorescent light. When the light shone over the area, we saw what Constantine meant. In the nape between her upper and lower arm were three distinct needle marks. They were surrounded by bruises and her veins were a vibrant violet color at the moment in hand. It was clearly obvious to Amos, Constantine, and I what the marks meant. We all stood back up. It made complete sense if one looked at it that way. Still a newly changed Immortali shouldn’t have the knowledge it would require to defeat a Dark One or kill it, let alone one who’s still going through the change. Amos yawned. The dark lines under his eyes were evidence of his exhaustion. We had been tracking the Dark One for days and chasing him for hours. Ours wards were waiting for us to return home. “What should we do with her now? We can’t just leave her here and have humans find her. We would be risking exposure.” Amos was right. We couldn’t just leave her here. Confusion was written in the furrowing of their brows and the stillness of their movements. “You know this girl and her adoptive parents?” Amos wondered. Understanding flashed over their features the moment I said Vanessa’s name because they knew Vanessa as well. Amos kneeled down and slid his hands under Jamie, lifting her off the ground, and put her into his arms without waking her up. She was still out cold. Neither of them contested my words. Amos put his hand on my shoulder gently. “Be careful and return back safely to me, Renata,” he whispered. He worried too much. He knew that I was more than capable of taking care of myself. Without another word to them, I carried Jamie back to her car on the side of the road. I found it easily in the night, and I put her securely in the backseat. I shut the door silently without waking her. Looking around, I see no one in sight for miles. Thinking over what I should tell Vanessa, I got into the driver’s seat, shutting the door, and I turned the key in the ignition. As the car hummed to life, I drove off on a new mission. A mission that I didn’t want to do, but I knew I had no choice. “Not again! I can’t be late again!” Pressing my foot further down on the gas pedal, I knew that I was going to get in trouble with Vanessa for being out passed my curfew for the third time this week. It had only been a week after my seventeenth birthday and already I had broken my promise to stay out of trouble and behave myself. She’ll have my head on a stick this time, I thought frantically. As I drove out my frustrations, I began to notice the headache forming like a storm could in my mind wasn’t helping much either; not that a headache ever helped anyone. The headaches have gotten worse in the passed four days since I first noticed them coming and going. I prayed that it would disappear by tomorrow’s soccer match because the team was depending on me to carry them to victory. What’s a team without its best goalie? With eyes still focused on the road ahead and hands still placed at ten and two on the steering wheel, I carefully maneuvered my cotton sweater off without so much as swerving on the road. I wiped at my forehead and removed the beads of sweat building before I glanced down at the heat settings and saw that it was off. I inhaled a small gust of air and had a hard time breathing without finding myself wheezing. I hoped that I wasn’t getting sick, that it was just allergies, because I would miss out on too many things if I was coming down with something. No other cars or people were around on this old dirt road as I powered through it. Hardly anyone took this route anymore because the highway was faster, and also due to the fact that this road was said to be dangerous because of all the accidents that occurred here when it was a busy road. The lonely dirt road sat beside a forest on both sides. A few houses popped up here and there; otherwise, it was abandoned. Rushing and driving fast was a given for me. I knew no police cars would be sitting in wait. They never patrol this road anymore. Coughing hard, I closed my eyes for a split second. When my eyes shot open, I was blinded by a big flash of fluorescent white light that shone through the forest off to my right. The car shook slightly beneath me; enough for me to notice that it wasn’t natural. Something was happening. Startled, I panicked and found the brakes with my foot and stomped on it, putting the car into a complete stop, while I shielded my eyes with my arm from the bright illuminating light. My head felt like it would explode with pain as it pulsated against my skull. Barely seeing around my arm, I saw the light slowly faded away through the overgrown trees after a few seconds. Removing my arm from my face, I looked at the area where the light was still fading back into the darkness of night. My eyes finally adjusted to the sudden shift in light and my ragged breathing made each wheeze hurt worse. “What the heck was that?” I asked myself, still in shock. When I finally calmed down to what I thought as reasonable, I put the car back into drive and pulled off to the side of the road and parked the car. The flash of light was completely gone when I got out of the car and shut the door. Looking around in the dark of night vigilantIy, I headed into the forest with quiet steps weary that I was alone. It was too silent for a location where many animals inhabited. The forest wasn’t just silent, but it was absolutely creepy. My heart pounded against my chest, telling me to get out of there. Something about the forest felt wrong, unnatural. The pit of my stomach twisted into knots and dropped into an abyss of uneasiness. After minutes of walking, I reached the exact point where the light had originated. 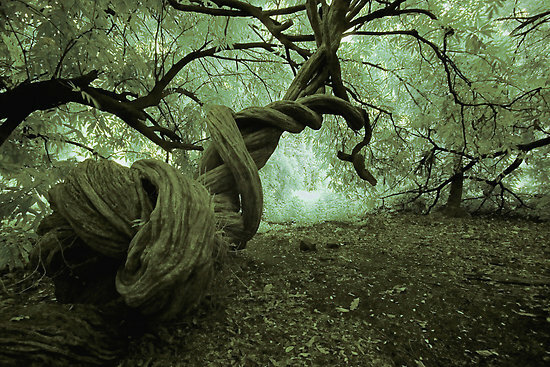 I leaned against a tree trunk to steady myself as my body begun to sway and my mind swarmed, losing balance. Unsuccessfully, I tried to shake the headache and the vertigo away. The tournament must’ve taken a lot out of me. The silence in the forest stretched on with only the sounds of my labored breathing and heart pounding loudly in my chest present as I attempted to catch my breath. The sudden sounds of tree branches and twigs breaking or being moved made my head shot up alarmed. I listened closer to the noises in complete stillness. The noises were getting closer to where I stood shaking with fear. It sounded like the branches and twigs were being stepped on. Someone or something was running fast in my direction. “Hello? Is someone out there? Hello?” I yelled, trying to see if they were alright. The running kept aiming in the same direction. This time the sounds of whomever or whatever was coming became more persistent and grew louder. Another thought dropped into my mind. One thought I should’ve thought of sooner. What if they were the ones who caused the flash of light? A thought I should’ve had much sooner, because now it was too late to run. I could hear them too close now. I wouldn’t, couldn’t, let my fear be the death of me. My instincts and teachings consumed the fear building inside of me like a typhoon as I prepared in case the person or animal was going to attack me. Everything about its approach felt wrong. Digging my feet into the ground, leveling my arms, calming my nerves with shaky breaths, and suppressing my aches, I positioned my body into a defensive stance as I had done many times before during tournaments. I worked myself up for an encounter by praying “you can do this, you can do this” repeatedly in my head. Even though I felt like crap, my every nerve was on end prepared to fight just in case. Once again my eyes swept over the direction where branches and bushes were beginning to tremble. I could see small pebbles and rocks and little sticks quaking on the grass and in the dirt because of some force. Squinting, trying to narrow my sight in the darkness, I saw the distinct silhouette of a man in dark clothing running towards me. A short distance behind him, three figures with flashlights were pursuing him. As he got closer to me, one of the figures chasing him, a woman, shouted out to me catching my attention for a split second. “Run away from him, girl! Don’t let him touch you! Run now!” She yelled breathlessly. I couldn’t make out her face though I heard the panic and anger ringing clear as day in her voice. She was right to say it. I should’ve listened but I was too stubborn and it was too late. Running wasn’t an option now. The unsettling feeling deep inside of my soul said that this man they were pursuing was a very bad guy. Shaking my headache away as best as I could, I got back into a defensive battle stance. He came into complete view and I watched horrified as he growled at me, gritting his teeth like a feral animal. The inhuman growl that yelped from him threw me off guard, yet not scaring me enough to get me out of my stance. I didn’t move an inch. I was too afraid to. He came charging at me at full speed with his arms outstretched and tackled me to the ground before I could make a move to defend myself. His attack blew the wind right out of my body. He was so fast that I barely saw his attack. A few labored breaths later, I gazed him dead in the eyes. An unusual feature of his stood out immediately. Strange dark red rings around the irises of his clearly amber eyes caught my curiosity. It was weirder than his pale skin, drained of most color. Another menacing growl, in my face this time, rippled through his mouth as he struggled with me and he attempted to stand back up. He was stupid to think that I would just give up and surrender. I used all the body strength that I could muster to wrap my legs around his and disabled him from getting to his feet. Doing that only frustrated him more. The dark rings around his eyes grew larger and slowly overtook the amber parts remaining, consuming them completely. My mouth dropped open. No way was is that possible! It can’t be real! Human eyes could never do that. It just wasn’t physically possible. Laying my rounded eyes on him, reality cracked inside of me at the reality of the existence of other worldly creatures. I was still in shock, yet I knew that my eyes weren’t deceiving me. This was really happening. He was real. The three figures that were previously chasing him halted to a stop nearby. I glanced at them briefly, but not long enough to see them and who they were. He caught me off guard in that split second and took advantage of it. Before I could turn back to him, he had already unwrapped my legs and hold on him. I turned back around in time to see him hiss inches from my face like a snake ready to strike. Trembling, I shut my eyes tight over my eyelids and waited for the death I knew was coming for me. With little effort, he got a good grip on my arm with his hand and flung me in the air. The impact of colliding with a tree trunk ended my flight. The fall and plop on the hard ground of dewy grass was agonizing. It was hard enough that I felt beaten and bruised on impact. Ten times worse than the sickness I already felt beginning to brew inside of me. My glassy eyes of tears blinded my sight. I blinked my eyelids rapidly in order to see through the haze of tears. Only a few seconds since I was immobilized had passed, still I had missed a lot. The man was standing up facing the three individuals with flashlights in a feral crouch. Watching the man with an intense unblinking stare, I stood back up, leaning against a tree for support, and shook my head. I set my view on the scene playing out before me when the dizziness begun to fade. He was too focused on the others to pay much attention to me at this moment It’s now or never, I thought to myself as I worked up the confidence to outweigh the warring terror in my body. Releasing my jagged breath, I slowly drifted away from the tree and over toward him without making any sounds. In close proximity to him, I started running at him now with my arms outstretched. Clashing with him, I used the full force of my body to take him down. It was like hitting an immoveable object ,but somehow I managed to get him off his feet. We fell onto the ground hard with a loud plap. My attack had caught him completely off guard. He immediately tried to untangle me with his hands. Unlike before, it wasn’t going to be so easy with me focused. Whether he was a delusion or real didn’t matter to me in this moment. I wrapped my legs tighter around his waist and maneuvered my right arm around his right arm and neck, then I squeezed hard. I couldn’t let him get away from here and hurt anyone else. I squeezed and squeezed until my entire body was engulfed in a burning pain. His groans made my skin crawl. He wiggled around trying to break free of the sleeper hold I had him trapped in. His teeth chomped were mere inches from my face, with only my arm keeping him from turning in my direction and biting me. After a few minutes of struggling, his body finally became completely lax as he drifted into unconsciousness. Exhausted as he entered submission, my heart rate slowed and sweat clung onto my forehead. I released my hold and dropped him to the ground. Staring down at him, I stood up brushing dirt and leaves off my clothes and out of my now tangled dark golden blonde hair. The brain splitting headache and dizziness rushed back into me. It was a thousand times worse than before. Now the pain was almost intolerable. The three formerly pursuing the man stared at me with their eyes practically bulged out from their sockets. Then they dropped their gazes down to the unconscious man–well I wasn’t sure what he was, but I knew he most certainly wasn’t human. The wheezing cut at my throat, making it harder for me to breathe right. A searing pain slithered up my spine and spread throughout the rest of my body. My bones and joints kept cracking like they were going to shatter to bits. They were much worse than growing pains. An agony close to how death would feel, I imagined. The woman stepped forward, so I looked her over closely through burning blurry eyes. Her face was familiar to me. That long curly black hair, those yellowish-green eyes, and her beige skin set tiny alarms off in my mind. I stood as still as stone, taken aback a moment. She was too familiar and I knew exactly who she was. I had seen her many times before with Vanessa. What is she doing out here at this time of night chasing that awful creature? “Rena? Is that you?” My voice sounded hoarse as I called out to her. She didn’t reply back to me. All she did was watch me. Her lips parted, yet nothing slipped from in between. Just as I got ready to ask her again ,I broke out into a harsh coughing fit. She took a slow step forward, moving out of her stone state. Recognition flying through her. “Kathleen? Kathleen McKenna? What are you-” She started. Her voice cut out and disappeared into the wind as the dizziness finally won and I fainted, barely seeing the other two with flashlights running to catch me as I slipped into unconsciousness. I loved her not just for the way she lit up the darkness in night, but for the way her love and presence silenced my demons. She veiled the darkness around her like the stars she used to cast shadows into paths every which way; the way moon she held like her heart, beaming with a luminescence that made the ordinary appear extraordinary; the way her clouds hung above her diadem, yet she drove them away with a loving kindness, instead of hateful wrath or spiraling fireworks, always ready to burst at a clock’s passing tick; and for the way she voyaged through storms of thunderous obstacles and rainy qualms and always comes to a deeper atmosphere where galaxies form. Her burning love never fading as she danced with darkness to embrace it with the brilliance she harbored within. A beacon of solitude when the demons seeped from the shadows within me. The fight for the sanity and insanity of my mind, and the fragility and destruction of my very soul. She carries that ethereal beauty inside of her and consumes the shadows in her movements, in the echoing of her breath, the beat of her heart, and in the way her essence mingled with my own -touching every part of my soul- and stripped the demons of their grasps on me. She silenced my demons and hung angels at my shoulders. She was my keeper, and she nestled the silver thread of dawn in her perfectly imperfect hands. Her love kept the wicked inside of and around me at bay, and I loved her more with every glance and with every thought. 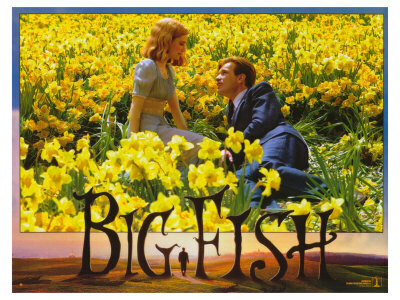 The 2003 film Big Fish starring Billy Crudup and Albert Finney follows the lives of the Bloom family. Will Bloom has always been told wondrous tall tales by his father Edward about his life. During Will’s wedding reception, his father tells the guests the enthralling story of how Will shot out of his mother like a slippery missile and how on that day Edward almost lost his wedding ring to an overgrown fish. This is the last straw for Will, who cannot take another one of his fabricated stories -stories that Will has heard his entire life. Outside, he confronts his father. This is the last night that Will speaks to his father for over three years. It isn’t until Will’s mother Sandra calls him to inform him that Edward is very sick and his days on Earth are numbered. Seeing this as his last chance to get to know his father, Will and his pregnant wife Josephine return to Will’s hometown of Ashton. Despite the fact that Will and Edward have been estranged for years, Will makes an attempt to have a relationship with his ailing father to try once and for all to get Edward to tell the truth about his life without hiding behind the fable tales. Edward, bedridden and fading, recounts the memories of his life to Will and Josephine. He tells them mystifying stories: Carl, the giant who became his friend and joined the circus; Amos Calloway, who he worked for at the Circus and also happened to be a werewolf; Jenny, a young girl from Spectre that had a crush on him; the singing Siamese twins Ping and Jing, who Edward helped during the Korean War to get to American entertainment industry. Will believes his father has lied to him all of his life about who he is, where he has been, the things that he has seen and stories he has told. Throughout the film, Will tries to get his father to tell him the truth of who he is -”the good, the bad, everything” (Big Fish). His father replies, “I have been nothing but myself since the day I was born. And if you can’t see that, it’s your failing, not mine” (Big Fish). As his father gets weaker, Will thinks he will never get to know his father for who he truly is. Sandra, Will’s mother, shows Will the telegram she got when Edward was in the Korean War telling her that Edward was missing in action and presumably dead after Will scoffs off his father’s story about Ping and Jing during the war. Will is shocked and asks, “that really happened?” (Big Fish). Sandra replies, “Not everything your father says is a complete fabrication” (Big Fish). At this moment wheels begin to turn in Will’s mind now that he knows that there is some truth to his father’s stories. The turning point in Will and Edward’s relationship is when Edward has a stroke and is hospitalized. There at the hospital Will asks the doctor who delivered him to recount the story of his birth. The doctor retells him and states that it was a simple normal birth. Though it is never truly said in the film, Will finally sees the beauty in his father’s stories. The way Edward told stories made it memorable, vivid, and turned ordinary things into extraordinary tales. The truth has always been important to Edward. Will finally understands his father and sees the beauty and truth in Edward’s method of truth telling through storytelling. When his father finally passes away, Will meets the characters from Edward’s fantastic stories at his funeral. Will sees that all the people in the stories are real, yet not the fantastically magical people that he was told about. Carl isn’t a giant, but he is tall. Amos Calloway is hairy and short, but most definitely not a werewolf. Jenny is older now. And the singing Siamese twins Ping and Jing are not Siamese twins, but they are identical. When Will’s son is born, he passes on his father’s stories and has developed the love of telling truths in the form of storytelling. Edward had always wanted to be the big fish in a small pond. He understood that each one of us as a story to tell and we can tell it anyway we want because when we are gone all we have is our stories. Our stories and the truth in our stories will be passed on from one generation to the next. In this way, we become immortal. Creative Writing Prompts for November: Hone Your Writing Abilities Writers! It’s that time yet again, fellow writers and creative souls! Below are a list of creative, fun writing prompts to get those creative ideas flowing and keep your imagination broadened on the horizons. You are a leaf and fall has started. Explain how you feel about this. Make up your own evil species, or write a short story involving one of your favorite evil species. 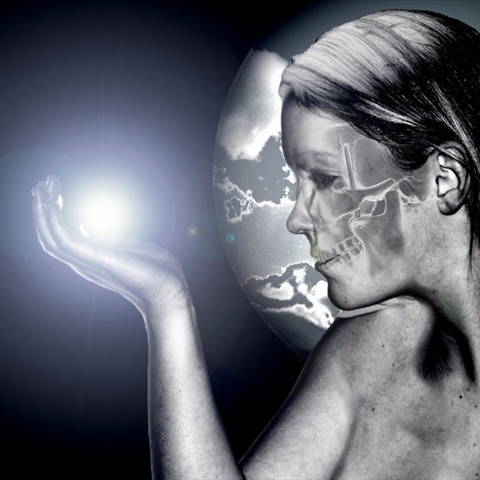 You recently discovered that you have superhuman powers. Write it on how you received these abilities, how you would use these abilities, what powers you have and why, and also how it feels to have super abilities (the pros and cons). Write about one of the riskiest, or joyous, memories that you have from a younger period of your life, or from recently. Write about what peace on Earth would be like. You are a caveman living in prehistoric times. Describe what it feels like to live in that time period, what it feels like to struggle to survive a dangerous, mysterious world, and what your mind-set is like. Take the first line of your favorite song, or the first few lines of the chorus, and make it the beginning of a short story. Continue and see where those few lines take you. These are the prompts for this month. Try a few out and you may be surprised by what your imagination can come up with. Until next month, write on! Writers do write to taste life twice. In many ways, readers and writers alike both read and write books to jump into the story, see it through the eyes of the main character, and experience his/her adventure with them as if we are really there and his/her world is as tangible as our own realities. When readers read books that have compelling story lines, real world situations, and characters with emotions that the readers can identify with. All books are written with this purpose in mind, that the stories readers choose to pick up are really fantasy worlds and have alternative lives that the readers themselves entertain to be their own worlds as they read. Writers read books such as those too. Writers read them because they know that these are the books their readers want to read. These are the books that are going to show them, with the power of critical thinking and analyzing, how they need to write characters, plots, story lines, emotional build up, realism, themes, and how to relate to their readers. Everything is a learning lesson, especially in life and in books. The whole purpose of writing books is to share and teach readers life lessons. We aim to enrich their minds with the knowledge, ideas, and insights that we have within our own minds, because when we write our characters and our characters worlds and realities, we write with the readers in mind. The abilities that we have as writers is that we can pull all of this information about our characters, where they come from, where they are now, and their journeys to get to where they have to go, and mentally, visually take it out of our minds and imprint it into our readers minds, so that way they, themselves, can see, hear, touch, taste, and smell everything happening in the book as we do, with a sense of realism and honesty etched into every word on the page. So, yes, writers do write to taste life twice, and often times way more than just twice. Readers do this as well. They read to put themselves into others’ shoes, situations, and minds. We all grow as individuals, readers, and writers by what we read. We grow along with the stories and the characters. They are friends that are eternally emblazoned into our minds; memories of lifetimes we have lived. This article was originally intended to be in the Collegiate Newspaper at Grand Rapids Community College, but now it’s here for you on my blog. Read and write on, fellow writers! On Wednesday, Oct. 23, 2013, from 11:15 to 12:15pm in Grand Rapids Community College’s Wisner-Bottrall Applied Technology Center, the session entitled “How I Turned One Good Idea Into a Book Series” was held in room 120 with Paul A. Krieger, professor of Biology and author of the Visual Analogy Guide Series, was the speaker. Mursalata Muhammad, professor of English, introduced Krieger to an audience of about 50 students attending the lecture. The lecture began with Krieger discussing how one idea he had altered his life and work. “It started with an idea. The idea was to teach students anatomy and physiology,” Krieger began as he stood before the crowd, smiling. “The idea was visual analogy.” He spoke about how he did research, went to book stories, and discovered that there were no books out there in stores that really explained anatomy, biology, chemistry, and physiology and had visual aids to benefit the students learning. From there, his idea sprout and grew. He drew up drawings by hand to accompany the chapters and sections of the book idea he had blossoming in his mind. His first book, A Visual Analogy Guide to Human Anatomy, came out of this idea he had been creating; however, the book wasn’t without difficulty to get published as he went onto tell us all. Here was when he really dove into how he turned his idea into an entire book series. Eugene, Krieger’s father, was a Lutheran minister and taught him “the power of words.” Krieger’s English 101 professor in college, Walt Lockwood, emphasized the process of writing rather than the finished product. “You never get it right the first time, so you keep practicing,” Krieger said. These two important people influenced him to become the person, teacher, and author that he has become today. His first mentor, Mike Timmons, an author and professor of Biology, was instrumental in narrowing down Krieger’s book idea when he first started out working on it 12 years ago. With Timmons advice, Krieger’s idea became more tangible and he could see where it was going to go. 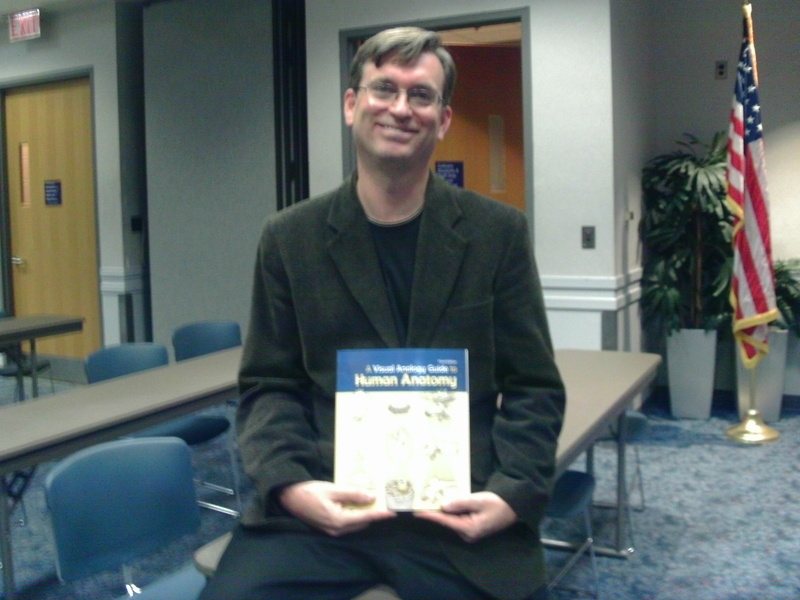 His second mentor, Kevin Patton, author and professor of Biology, advised him to get into an organization that could help him get published. The great part of writing a series of books, according to Krieger, is that with each new book it’s a new negotiation opportunity to get paid more for your work that you didn’t get the first time around. A Visual Anatomy Guide to Human Anatomy, his first book, took him roughly two-and-a-half years to write and illustrate. He explained that working on his book took a lot of time management and that it became easier when he broke the project up into smaller pieces. There’s no guarantee of success and only about 17 percent of first edition books make it to a second edition in academics. After a great deal of time and through numerous rejections, he found Morton Publishing, which published his first book and still publishes his entire Visual Anatomy Guide Series. Today, his Visual Anatomy Guide Series is used in schools across the country. Human beings–the human race as a whole–has from the beginning of our existence told stories to explain that which we cannot fully fathom, or that which we grow curious about. Out of our language, the language of sheer existence, we tell stories. Since the dawn of humankind, we have told stories through art on cave walls, rocks, and through telling stories around the only source of real warmth in those days, fire. Storytelling predates writing by many, many years. As a race, we began telling stories through the extension of art, drawings on cave walls, and rock, and through performances in front of others around the dancing flames of a warm, embracing fire that ebbed at the numbing, bitter cold of weather. We told stories to explain why lightning flashed in the sky, and thunder echoed and rolled. Why there were stars in the sky among the darkness of night. Why there were animals roaming around the Earth. Animals that could kill us as prey, or we could kill, eat them, and use their fur to warm our own bodies. Everything had a purpose. Nothing was without some sort of story or explanation for existing. The point is, these stories we told didn’t destroy our sense of fear; instead, they lessened the hold fear and trepidation had on us. Take the biblical story of the Tower of Babel. Generations of humans after the Great Flood spoke one language and migrated to the land of Shinar where they would continue to build a city with a tower, the Tower of Babel. A tower “whose top may reach unto heaven” and humanity could make a name and have power over all on the Earth. On each level of the tower, God gave them their own language so they could not communicate with each other to finish the tower. What I’m getting at is that the languages changed. Just because they didn’t finish the Tower of Babel didn’t mean that, that was the end for them. They split up, went their own ways, and later created and built other buildings, other masterpieces like the Great Pyramids, towers, and structures. They did it divided, but through their languages with their own section of people. Storytelling empowered us. Having explanations–whether those explanations were factual, embellishments, or sheer nonsense–taught us to use our imaginations, not to fear what lingers in the night, and to live with the reality that everything happens for a reason. Sure, we have grown as a race since then: buildings, technology, intelligence, etc. The one thing here that has remained consistent is storytelling. We no longer all speak one version of a language, and we don’t live together huddled against one another skin to skin in caves to survive the cold. We live in different continents, speak different languages and dialects, but this one aspect has never left us. The language of storytelling has become a part of our DNA, per-say. We still tell stories. We tell them verbally, in art, culture, beliefs, values, writing, entertainment and in many other forms. 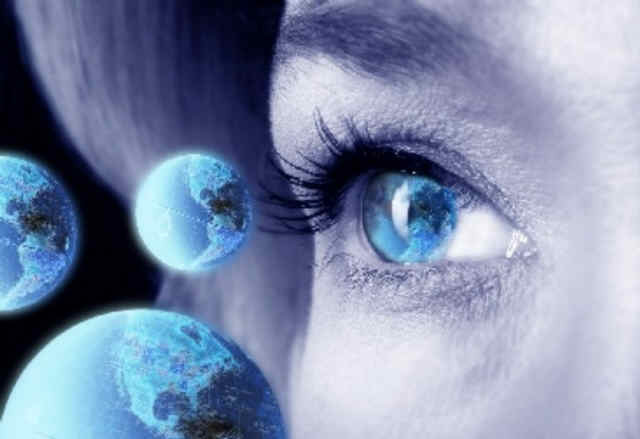 Unlike in the beginning, we have explanations for a majority of the things happening in the world and to us. 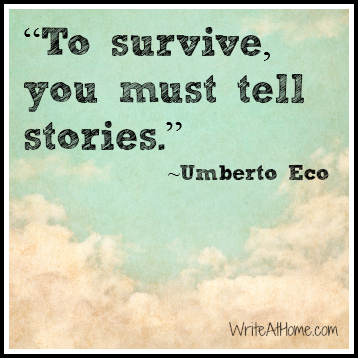 Yet, the need to tell stories is still there. We have changed how we do most things in life, yet we tell stories in our own styles and forms and it reaches different cultures, people, and parts of the world now through books, internet, word of mouth, etc. We don’t have all the answers to everything yet and we may never be able to. The one thing we will continue to do is tell stories to explain the things we still don’t have viable, concrete explanations for. The things we dream, live, see, hear, feel, taste, touch, and fear are all caught in a web of ever-twisting and changing meanings and realities because we continue to tell their stories in new ways, in our own voices, because we want to solidify them, give them meaning and relevance and essence in our lives. We don’t do this just for ourselves. We do this for future generations too. This is our legacy. Our past was written for us, here and now. What we write, see, and live now and tell through the language of storytelling is the legacy we leave for future generations. What they do will be doing for the next generation. Humanity leaves its impression on the world in the way we tell stories. Writing Prompts (Part 1): Try some of these out! Writing prompts are helpful tools that can show you your strengths and weakness in the way you write. Essentially, writing prompts give you ideas to find out what you think, what you want to write about, and strengthen your writing skills. I will be posting new writing prompts two to three times a month for you to try. I will always try to make a variety of them, so there will hopefully be one to match your writing interests. Turn to pg. 35 on whatever book it is that you are reading. Copy down the very last line or two of the book. From there, start free writing a story starting with the line(s) of that book you were reading. You might be surprised to find that there’s a story there. Purpose: The purpose of this exercise is to show you how to brainstorm, as well as how something so mundane as a line or two from another story can create new parallels and ideas in your own writing. Take a devastating event that you have heard of recently and make it fictional. Take the emotions, the people, and the actions of that event and make it fiction. Turn it into what ever it is that you want it to be about; however, don’t forget to keep the affects, effects, and emotions from the real event within the story, or scene. Purpose: The purpose of this exercise is to show you how to capture a moment in time and how to capture the real emotions and feelings of that moment. This will help to improve your ability to strengthen your emotional stakes in the stories you write. Take the lyrics and music of your favorite song, or pick a song at random, and free write a story out of the lyrics. Purpose: The purpose of this exercise is to show you how important your imagination is because all stories start within your mind. They manifest in ideas, such as song lyrics, and you create them with your imagination, and give them life as stories.